In the city of New Orleans, there are two contenders vying for the enviable title of most iconic sandwich. 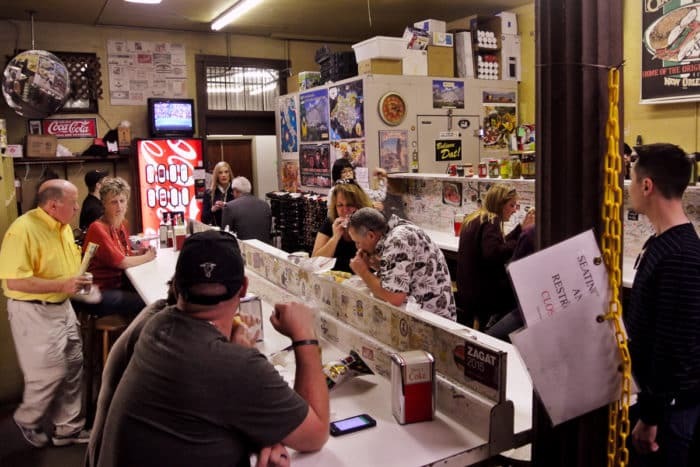 Sure, the Po’ Boy gets a majority of the attention with its vast variety of fillings and multitude of shops specializing in the dish (which all claim to serve the very best). But, for my money (and belly), I’d argue that the Muffuletta should be the NOLA specialty sandwich torch bearer. While there are an incredibly large number of po-boy specialists in the city, there are far fewer places slinging muffulettas. And one of the very best joints also happens to be the place where the thing was invented. 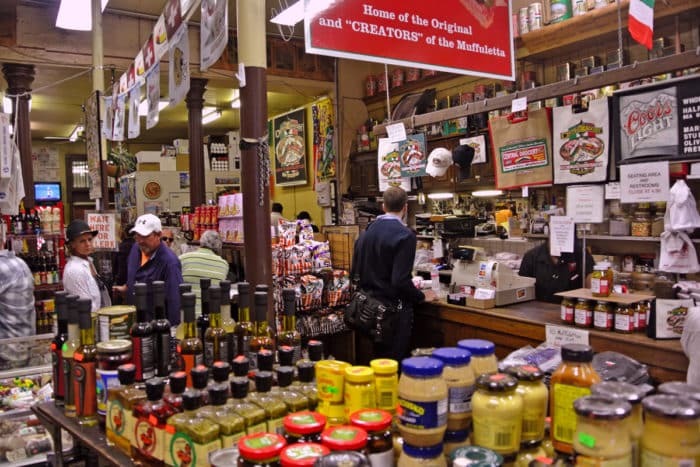 The very first place to combine these particular ingredients in this particular way is situated in an old, cramped, shop in the French Quarter called Central Grocery. 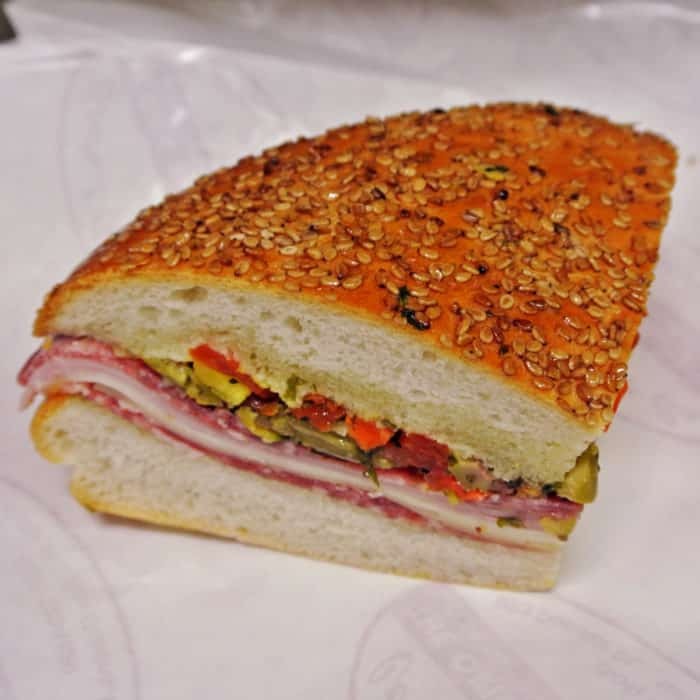 The aisles are packed to the gills with imported Italian jarred goods, but more importantly, they’re still serving the muffuletta sandwich up exactly the same way they did when it was first concocted 110 years ago. It’s the same as it’s always been — just right. Absolute perfection. “So, what is this muffuletta you speak of?”, I can already hear you pleading. Well, it’s a masterpiece of culinary fusion and is the direct result of what happened when Italians came to NOLA. 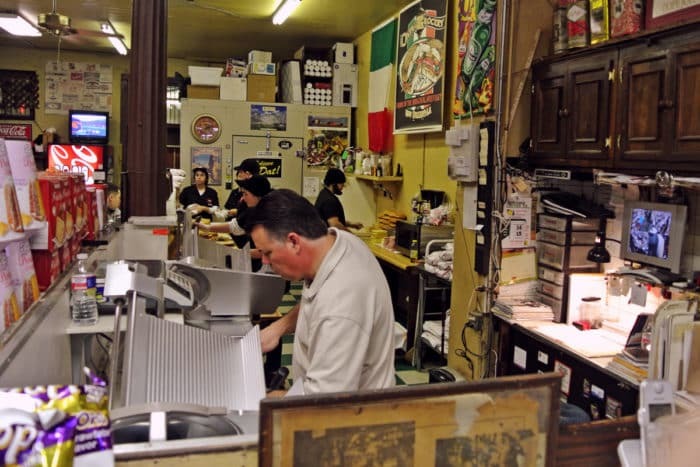 If you’ve ever been to an old-school, Italian, thin-sliced cured meat specialists like New York’s DiPalo or Alleva, then you’ll certainly be familiar with the kinds of the ingredients in use at Central Grocery. The sandwich involves a Sicilian sesame bread (a lot like hefty focaccia) which gets layered with the Holy trinity of thin-sliced meat (mortadella, salami, and ham), thin-sliced cheese (mozzarella and provolone) and their signature garlicky, vinegary, olive salad (olives diced with the celery, cauliflower, and carrot). The bread, meat, and cheese are great, but the vinegary, pickled vegetable topping really makes this sandwich stand out. For all of you Chicagoans out there, the olive salad is quite a lot like gardiniera. Each bite is a perfect blend of salty sliced meat, hearty, dense bread, and bright, tangy, crisp pickled vegetables. It’s been exquisite every time I’ve had it. There are two ways to order at Central Grocery. You either say “half” or “whole”, there are no other variations. A half will get you one-half of the full round, which I think is a nice lunch-sized portion to split between two people. And that’s really all you can do. I know because we tried to go off-menu. They do not, can not, and will not make you any other type of sandwich even if it involves ingredients they do have on hand and on sale. 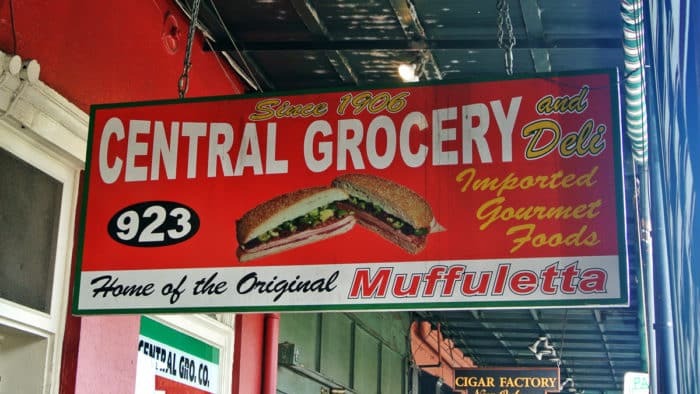 Basically, if you’re coming to Central Grocery, you’re gonna get a muffuletta and that’s then end of that. So is every other person who goes there. Just order a half or a whole then head to the back. There’s bound to be a huddled mass of people perched on barstools wolfing down their own muffuletta. Join them. Leave happy and full. 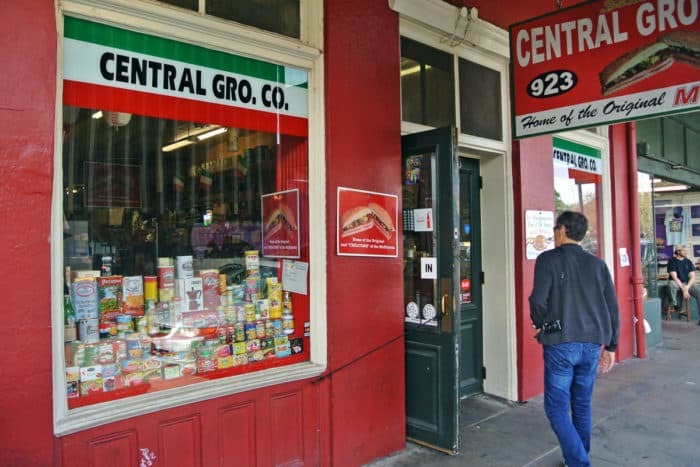 So, if you’re in need of a non-sucky, unique, cheap, filling, flavorful, aaaaaand iconic meal in the most extraordinarily touristy part of New Orleans, Central Grocery is worth a visit. Their muffuletta is truly spectacular and I don’t see any signs of them changing anything about it any time soon. Got another muffuletta shop in NOLA I should check out next time I’m in NOLA? Let me know in the comments below.